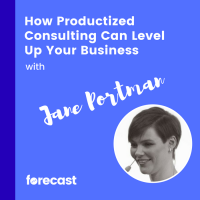 Jane Portman began her entrepreneurial journey as a freelance designer on oDesk (which is now called Upwork). She struggled to find good clients who were willing to pay reasonable rates for her services. Fast forward a few short years, Jane is now a household name in the user experience industry. She has written several books and has an entire menu of productized consulting offerings that help software companies design better apps. In this interview, we’re going to dig into Jane’s journey from unknown freelancer in “middle of nowhere” Russia to sought after user experience author, speaker and consultant.